I first paddled this section of river when I was 10 years old, taking a 17 foot Colman canoe down the river with my Boy Scout troop. That of course makes it the first whitewater I ever paddled. With that troop I ran this stretch of river ever summer for eight years as part of our yearly 50-miler whitewater canoe trip. This was day one (and the longest) day of our trip which the following day would continue down to Tish Tang before skipping the Hoopa valley and moving on to Weitchpec Gorge before doing some miles on the Klamath above the confluence. 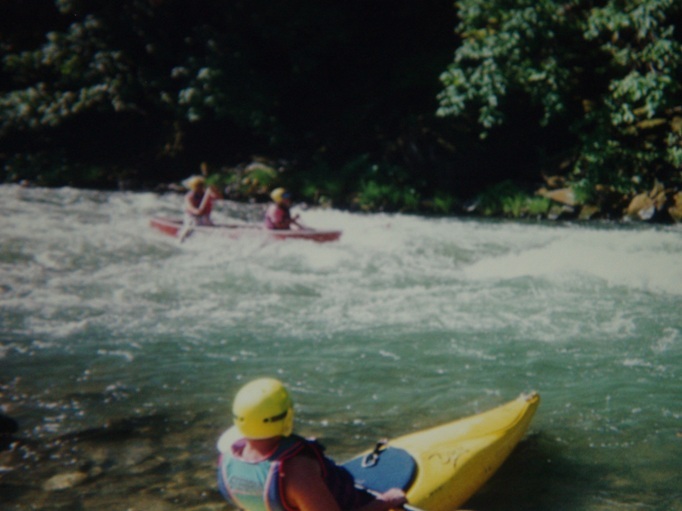 This stretch of river has several fun rapids plus miles of pleasant scenery. The day is a little long however and after the South Fork enters in, the action really mellows out and becomes pretty flat. There are take outs at the South Fork which would shorten this day if desired. 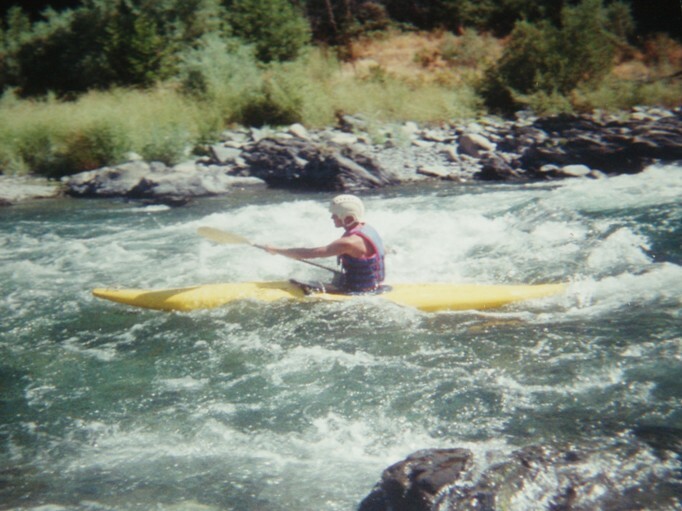 So I have not run this stretch in the past 5 years as I have not been a Boy Scout, but I was visiting my folks and found some old pictures of this run along with others and thought it would be nice to add to the project, as it is the origins of my boating life. So with that said, there is no way to do mile by mile, there are only two rapids which need worrying on this day anyways. Anyways, it is a pleasant float and worthwhile. Good Morning Troop 444 (II). A class II rapid greets you on the first bend, many boys swam here resulting from the lack of warm-up. Rimer’s Wrap (II+). 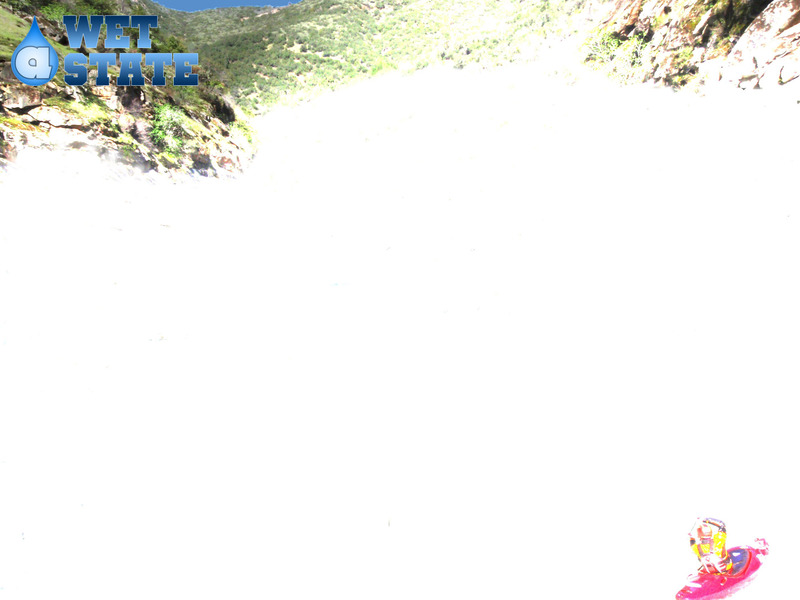 After a little of a mile or so the first bigger rapid comes. It is a rock bar which gets a little steeper at the end. From year to year the line would change, but it always remained. You can scout or portage on the left. Mountain Bob (II+). My first swim came via this rapid which comes after a few miles. I remember hitting one rock and swamping the canoe my dad and I were in, hitting another and flipping it resulting in us falling out, and it hitting another and wrapping its plastic shell around (not a rare thing with our troop). As a 10 year old this scared the day light out of me and I swore I would never boat again. 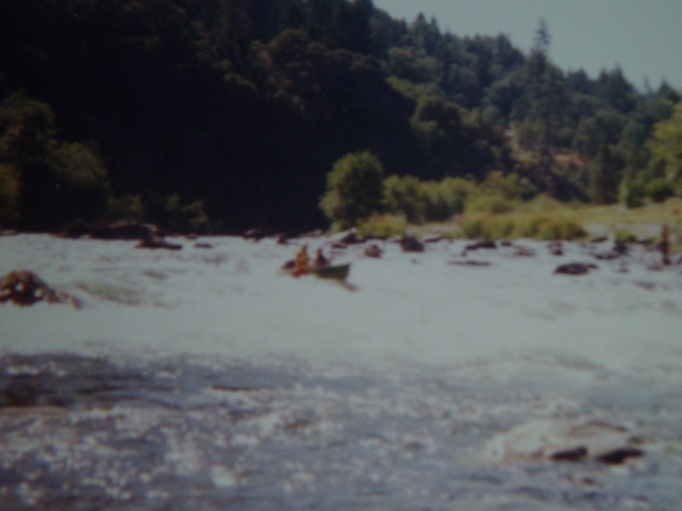 The rapid itself is in a tighter gorge area, it is long and has several large bolder in the middle of the river. Turning sideways resulted in a canoe wrapped on later rocks more than once, more than once in 10 seconds come to think of it, that is the year that “Mountain Bob” who was camping there jumped in the water, swam to the canoes, pulled them off with his bare hands, and then hiked one of them up the cliff himself, a feat which took 4 of the troops adults. Take out: To get to the take out, follow 299 from Weaverville to the Town of Willow Creek. Turn North (right) on 96. It soon goes over a bridge, a few hundred feet past the bridge you will see a gravel mine (or something of that sort) turn right just before that. This road quickly leads to the water. Put in: Go East on 299 towards Weaverville to the town of Hawkins Bar. In the middle of the town, right near the town sign, there is a river access sign on the left. A gravel road leads down to the water.